Detail from “The manner in which the American colonies declared themselves independant of the king of England, throughout the different provinces, on July 4, 1776.” (Click on image to view entire illustration.) 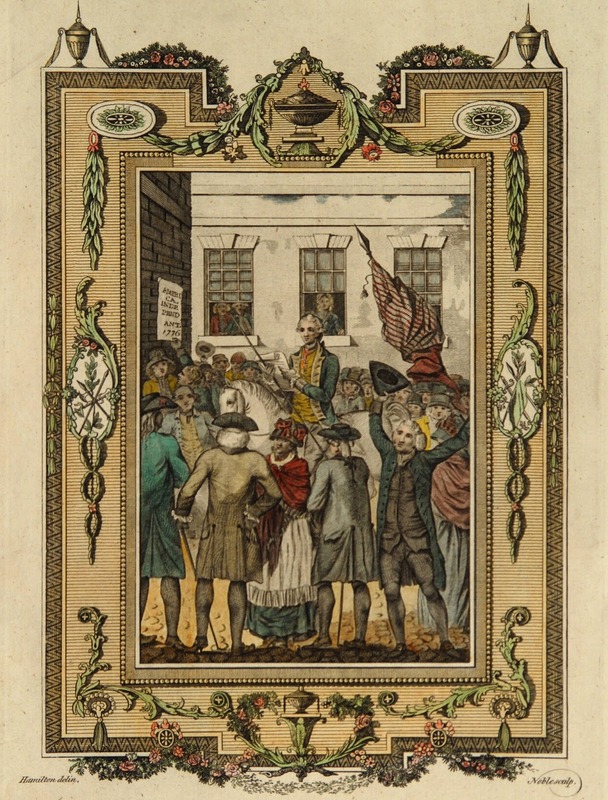 Hand colored print by William Hamilton (1751–1801); engraved by George Noble (fl. 1795–1806) for Edward Barnard’s New Complete & Authentic History of England, 1783. Courtesy of The Society of the Cincinnati. Adams’s prediction proved to be substantially correct—but, as we all know, he was wrong about the date. Although the colonies voted for independence (12–0, with New York abstaining) on July 2, the Declaration of Independence was adopted on July 4—and that is the date Americans celebrate each year. I am well aware of the Toil and Blood and Treasure, that it will cost Us to maintain this Declaration, and support and defend these States.—Yet through all the Gloom I can see the Rays of ravishing Light and Glory. I can see that the End is more than worth all the Means. In response to John’s news, Abigail sent the two letters reprinted here as our Story of the Week selection. She shares his excitement for independence and conveys pride in his role, and her second letter includes an account of a public reading of the Declaration of Independence in Boston. Yet she expresses disappointment that the final printed version of the document omitted “some of the most Manly Sentiments” included in an earlier draft. She may well have been thinking, in part, of a deleted reference to the evils of the slave trade. 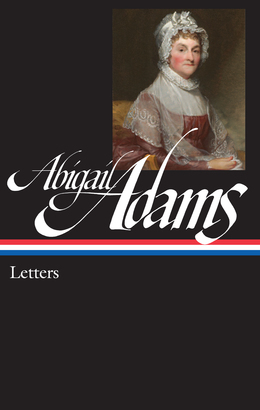 John appears to have said nothing to Abigail about the draft’s authorship, and so she might also have inferred that he, rather than Thomas Jefferson, was its author. As one would expect from correspondence between wife and husband, the letters include other news relating to family and community. Aside from the war, dominating their concerns is the small pox epidemic plaguing Boston and areas to the north (in “Canady,” or Canada), an outbreak that had infected about three thousand Continental Army soldiers; the second letter discusses the popular and moderately successful use of a “new method” of inoculation developed by London doctor Daniel Sutton, involving a small puncture to infect people with a milder form of the disease. On the war front, she mentions the sighting of a British fleet worrying the Boston harbor and the concern that the city was not yet properly prepared for its own defense. 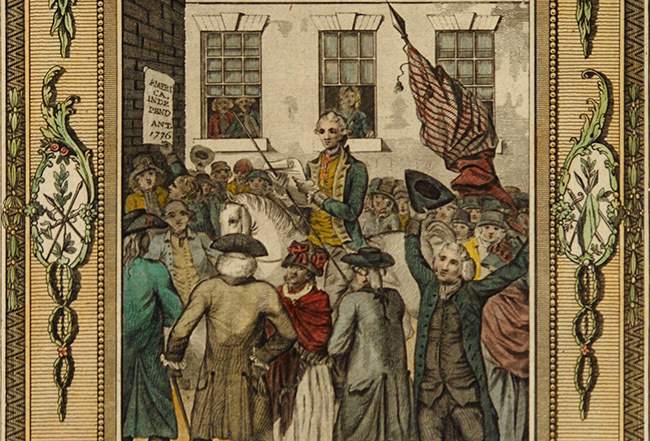 And she expresses anger about the “conspiricy [sic] at New York”: a private in General Washington’s guard confessed that he had been one of a number of Continental Army soldiers planning to defect to the British, fueling rumors that the plot had included the assassination of Washington himself. Notes: The following references all appear on the last page. Colonel Thomas Crafts participated in the Boston Tea Party and commanded the artillery unit during the Revolutionary War in which Paul Revere served. James Bowdoin Sr. was a local political leader and later the second governor of Massachusetts (1785–87). Belcona is Abigail’s curious spelling for balcony; Gorge is King George III. The Borgias were a prominent Renaissance family known for using theft, bribery, and murder to gain political and ecclesiastical power. Catiline, a first-century B.C.E. Roman senator, was involved in a conspiracy to overthrow the Roman Republic. By yesterdays post I received two Letters dated 3 and 4 of July and tho your Letters never fail to give me pleasure, be the subject what it will, yet it was greatly heightned by the prospect of the future happiness and glory of our Country; . . . If you don't see the full selection below, click here (PDF) or click here (Google Docs) to read it—free!